This has been a tough series for me. As you know, I have been hesitant for some time to actually read Jerry Eicher’s books but I finally relented after receiving this book from Harvest House to review. Finding Love at Home is the third book in the Beiler Sisters series. I don’t think it’s too repetitive to mention how Jerry writes such amazing, true-to-life Amish stories – because he grew up in the Amish faith. This would give him a unique perspective that most authors who write Amish fiction just can’t reach. I have seen this perspective – the influence from such a lifestyle – in every one of his books. It’s also possible that a man’s point-of-view would be different from a woman’s – I think this adds a realistic outlook to the harsh reality of his stories. Yet this is very easy to picture when I think of the Amish lifestyle – it’s much harsher than the soft lives most people enjoy. But oh, how I am beginning to love reading these stories… I lose myself in them – every time! The characters portrayed in this story are comfortable friends to me now… and although I was hoping for something different – wow, I was blindsided again – everything worked out for the best. I dare not say more, so you can enjoy the book. Do not miss this book or the rest of the books in this series. From bestselling Amish fiction author Jerry Eicher, here’s another charming book about life among the Plain People. All Debbie Watson wanted to do was join the Amish and live a simpler life. But when she moved in with her Amish neighbors, the Beiler family, she had no idea the turmoil that lay ahead. As this final book in The Beiler Sisters series opens, Debbie is poised to marry Alvin Knepp, the Amish farmer she’s loved all along. Ida Beiler is recovering from the tragic loss of her husband-to-be in a farming accident, while her younger sister, Lois, is still running away from her faith. Debbie takes it all in stride as she brings calm to the sorrowing Beiler family while finding happiness with the young man of her dreams. Seeing Your Face Again is the second book in the Beiler Sisters series by Jerry Eicher. Book 2 in this series is a perfect example of the point I made in my last review – the young heroine in this book is on her way to joining the church (no easy task, mind you), only to discover that the man she loves has walked away from the church, his family, and her… to pursue a life in the city. Just one more example of how REAL Jerry Eicher’s story lines are. More often than not, life doesn’t go the way we expect. 1 – This is definitely a story worth reading. And… if you’re going to read this one you should really start with the first book in the series and then read this one. 2 – I am beginning to see the appeal. No, Jerry’s books aren’t easy to read and the heart-rending turmoil is difficult to deal with but that is what makes these books so irresistible. If they were easy to read, they wouldn’t leave you with such strong feelings about them. And it is certainly telling that Jerry Eicher can write such deep emotions and show so realistically how his characters deal with them. WOW! And just in case you’re interested, here is the LINK to my mother’s review of this book. Debbie Watson is a new convert to the Amish faith and still learning the plain ways of the community in Snyder County, Pennsylvania. She has already attracted two suitors: the insecure but lovable farmer, Alvin Knepp, and the brash Paul Wagler who reminds Debbie of the boyfriend she happily left behind in the Englisha world. When Alvin leaves the community for the big city, Debbie is crushed. Though her heart is with Alvin, she considers Paul’s continued interest in her. Should she simply give in and marry Paul….or wait to see if Alvin comes home? Seeing Your Face Again is another Amish fiction treat you’ll love. With Jerry Eicher’s sales at more than half a million books, his Amish fiction fans continue to wait eagerly for his next heart-felt story, brimming with the authenticity he brings from his own Amish background. Well, Harvest House sent me the third book in this series to review so of course, I had to check out the first two books. Holding a Tender Heart is the first book in the Beiler Sisters series. Jerry Eicher grew up in the Amish faith – which gives him quite a unique perspective for his stories. I like that Jerry lets you see these people as real people. Even the people who are too strict, by our own standards, are clearly only doing what they feel is right in the eyes of God and their church. And that is the absolute truth. 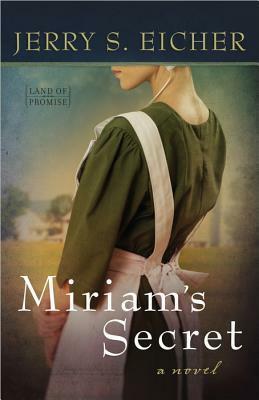 Many Authors of Amish fiction write sweet, pretty, romantic stories. There are hardships in some of them but most of the time, they are simple things… or the hardships are things we only see in the aftermath. But with Jerry’s books, you see the down and dirty and the absolute worst of what a trial does to the characters. And while it does – yes, make them believable and realistic in a way that you don’t typically see in a lot of other books, it also makes the stories more difficult to read… especially if you are very tender-hearted person. Nevertheless, there is something different… special… extraordinary about Jerry Eicher’s novels. He has been quite blessed in his writing and his books continue to top the charts. And I hope they continue to do so because, whether I can handle the flood of emotions they bring or not, readers love the stories that Jerry continues to bring to life through his characters and their real-life struggles. From the pen of bestselling Amish fiction author Jerry Eicher (half a million books sold) comes a charming new series set in Snyder County, Pennsylvania. Debbie Watson is a young Englisha girl who has grown up admiring her Amish friends, the Beiler sisters. As she prepares to graduate from college, Debbie considers making the life-changing decision to convert to the Amish faith and lifestyle. Soon Debbie’s presence in the community attracts the attention of two suitors: Alvin Knepp, the youngest son of a poor Amish farmer, to whom Debbie is very much attracted; and Paul Wagler, the more successful and sought-after man, whose constant attention to Debbie reminds her of her old Englishaboyfriend—whom she’d rather forget. Jerry Eicher’s many fans and readers of Amish fiction will love this heartwarming new series from a master storyteller.